Sometimes we visit a page that has a clean typography style, spacing, line-height, color, weight, is almost perfect in our eyes. And we wanted to know what exactly the font and formatting used so that we can also implement on our next project. For site owner or blogger like me, making the content on the site clean and easy to read is one of our primary concerns. Before I know this tool, I find it difficult to know the exact font used in the page that I like. And now, I will share with you this useful tool that you can add to your Google Chrome or Mozilla Firefox browsers. All you have to do is follow every step below. 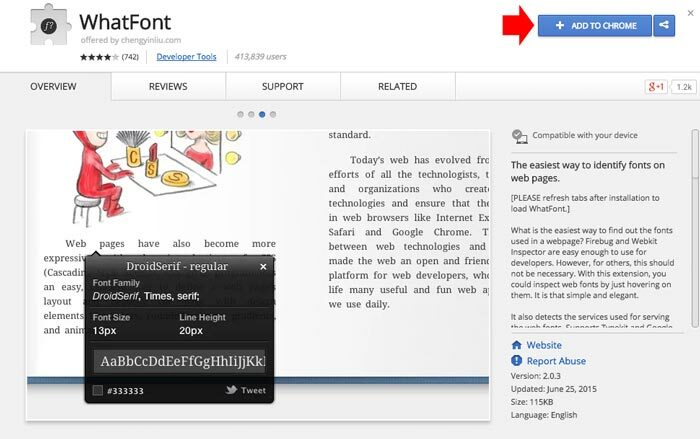 To know the font used in web page using Google Chrome, you need an extension called WhatFont. Add WhatFont extension to your Chrome browser. Go to this link and click “Add to Chrome” button. A Small window will popup, click “Add” to confirm. You can now see the WhatFont icon in the right corner of your browser. 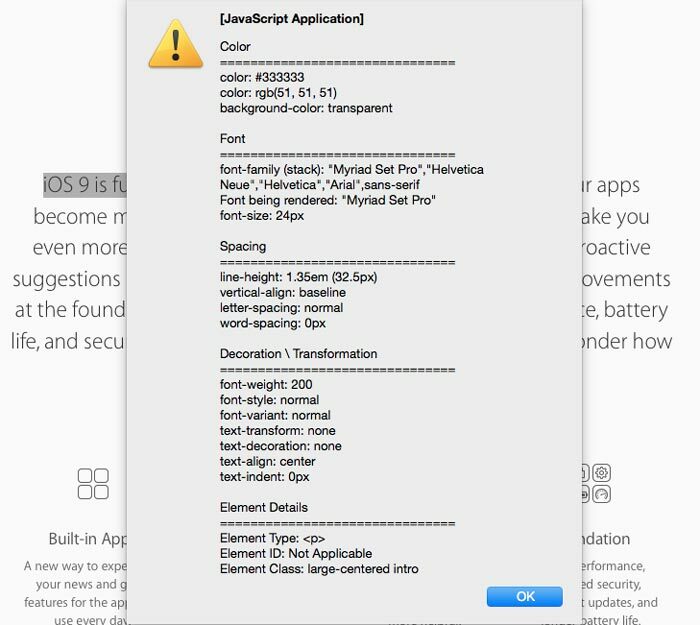 Ok, to use WhatFont, simply click on the icon, and click the text on the web page that you want to know the style, it will reveal all the formattings. 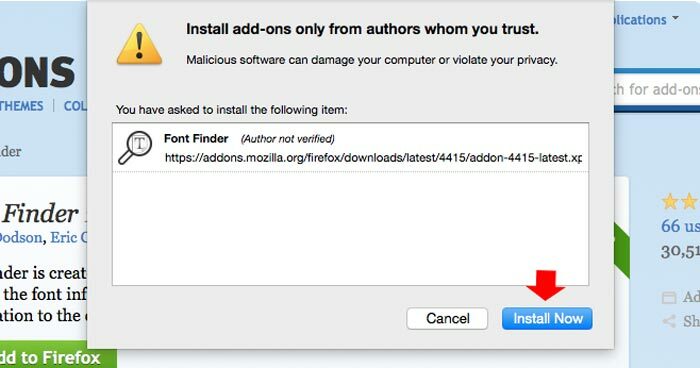 To know the exact font style used in a web page using Mozilla Firefox browser, you need Font Finder Add-Ons. 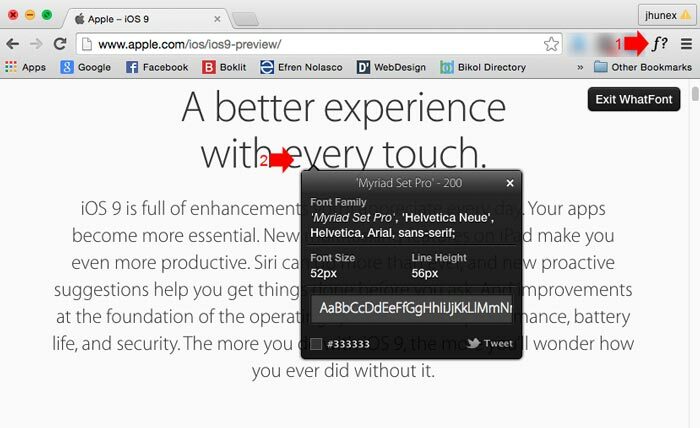 Add Font Finder to your Firefox browser, Visit this link and click “Add to Firefox” button. Restart your browser to take effect. 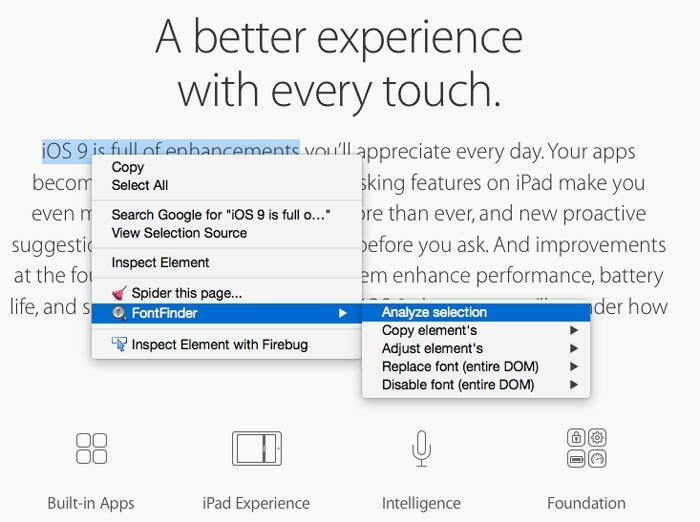 To use the Font Finder, simply highlight the word or sentence that you want to know the styling and perform right-click > FontFinder > Analyze selection. It will reveal all the styling on the popup window. If the font style that you want to copy is in the image format you can refer to my previous post how to identify a font from the image.